Are you a job seeker who is eagerly waiting to hear placed in any reputed companies? If yes, you might be going through a phase where you couldn’t understand where your resumes go. Seriously! You will send at least 10 resumes a day and at the end of the day you may or may not receive 1 phone call. Sometimes your day might end up with no calls at all! Ever wondered why? The reason is simple. Most of the hiring professionals will accept or reject your resume within 60 seconds of receiving the same. Yes, those 60 seconds are there for you to impress your recruiter. 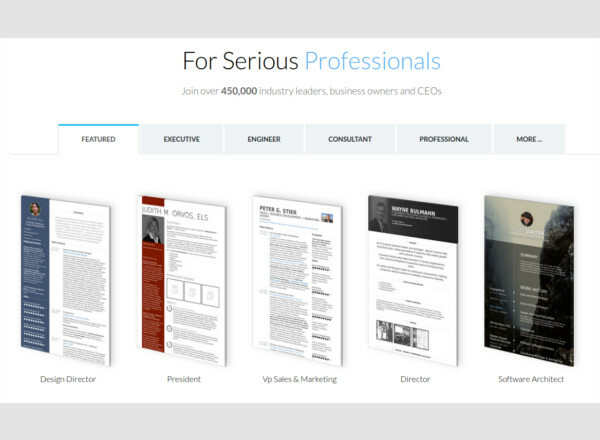 What if an old fashioned, visually dull resume appears on your behalf? Hope you got the reason! But there is nothing to worry. Resume generators are here for your help. 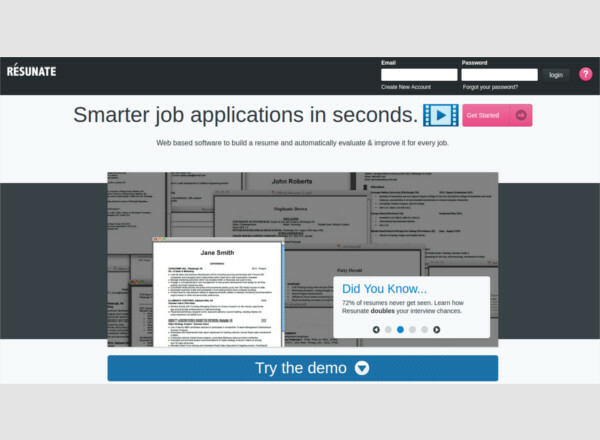 They will generate beautiful resumes for you in some clicks. Are you the one who believes in action than words? Then you can try out the WinWay. 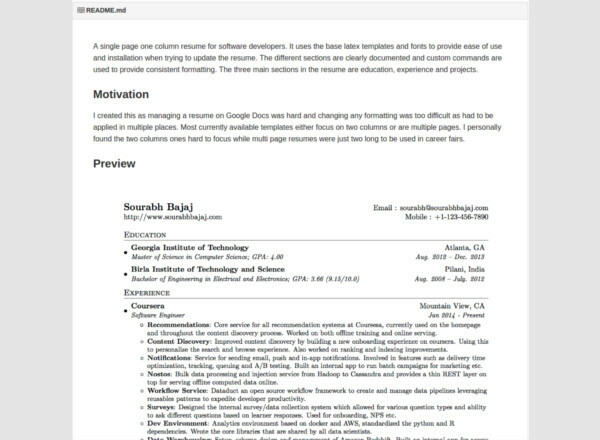 This generator creates beautiful resumes with a well-organised cover letter. Along with the professional look, this will help you to accommodate useful profession specific keywords in your resume to make it more functional. Looks just may not help you. But keywords will! Sometimes we will love to walk through the shortcut towards the destination. It’s not because we can’t .It is because we are lazy. For those lazy lads, Resumizer have some pre-defined templates in which you can do simple changes and can make it to the end product. This requires life efforts, fewer mouse clicks, and even fewer scrolls! Do you believe in the first impression? Then visual CV will generate the first best impression. Each of the templates in that generator is pretty professional with a very elegant and beautiful design that will impress your recruiter in on the look. The only thing you have to notice is to keep the standard of the resume in your performance too! Are you searching for a perfect resume generator that will support you with an elegant design and best words? Yes, this generator will support you with good and professionally useful words that could be added to your resume. It’s not simply a table generator, but it is something that will help you grab the job. This resume template is a well-organised word document that has accommodated all the useful information without any hassle. The resume has a very neat outline and the font choices are very professional. The alignment, organisation, and the formatting will certainly grab the attention of your hiring manager if you use the same. 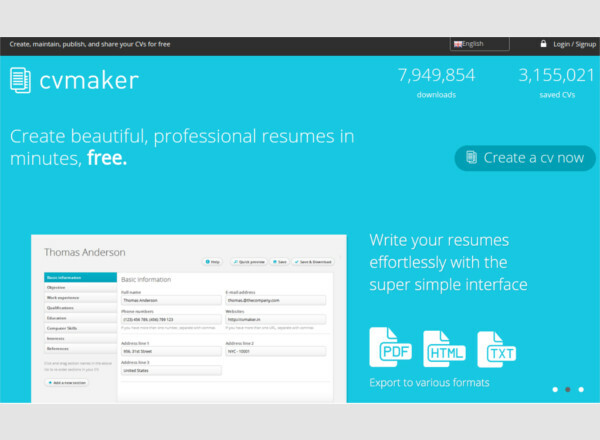 Resume now is a pretty decent and well appreciated package for generating beautiful resumes. Along with selectable templates, it helps you to save the end file in word or PDF or .rar format. For android, Career Igniter Resume builder works like a Champ. For MAC, resume builder in Istore works as perfect as ever. The downloadable resume CV builder for windows is not only compatible with windows, but is easily installable and offers quick edits on your resume. 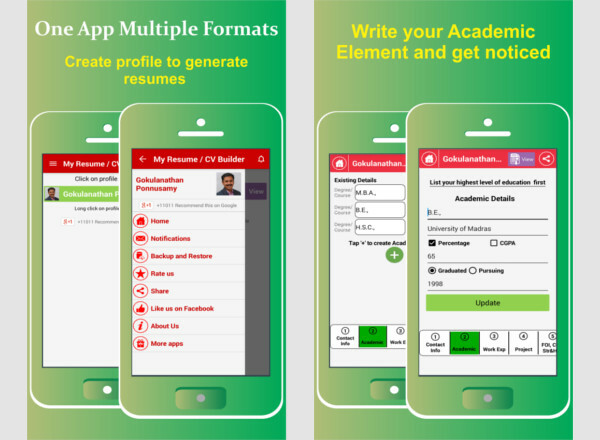 Those who wish to convert their resume to a CV by adding additional details can also go for this awesome application. The end product is neat, clean and organised. My resume builder is one of the most popular Apps in the Google play store. Along with such a huge positive review status, its stands out in the crowd as the best resume builder in Android. The ease of use makes it an exceptional one while its performance and the attractiveness of the end result makes it popular. Does MAC have a choice? 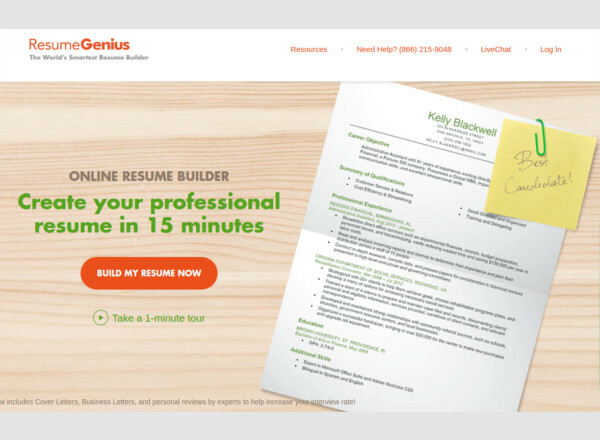 Resume genius is an online resume builder that offers fast and beautiful output. It is often believed that speed and perfection contradicts each other. But the performance of Resume genius will make us tell the opposite. The designs and resume patterns are very professional. Along with having professional outlook, it contains all relevant information too. 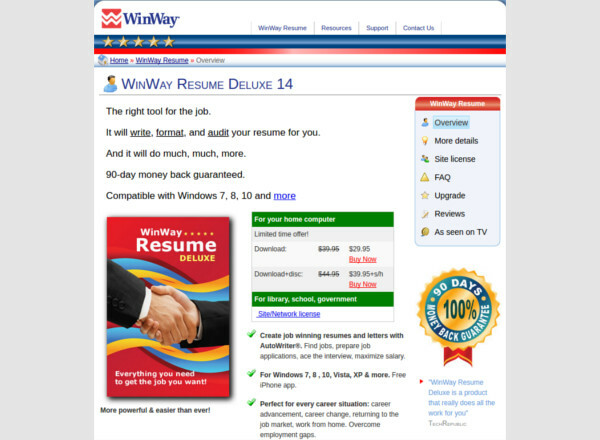 Resume maker professional deluxe 18, Livecareer, WinWay, Visual CV, Pongo, Speedy resumes, Jobtabs etc are some of the well rated software packages that you can try for generating resumes. The major advantage is that they are online and will not require installation. Also online generators are compatible with any of the OS. Resume genius is the star of the show. With its speed and fin tuned design, it just steal the mind of users. Those who have used the services have given very positive feedbacks. The performance and the installation free usage make it so popular. It is the best performer of 2016, and the most recommended software by experts. You might be a medical graduate or a civil engineer. You want to create an awesome resume but have minimal knowledge in Microsoft word. Here, you can seek the help of others who know it well. But do you think they will end up with something that will impress the recruiter? Well, it’s something to think! An impressive resume should have all the relevant points including your experience, training, achievements, Qualifications, and contact. You shouldn’t miss any points and that has to be integrated and accommodated in a page or two. What? All my details in 2 pages? Yes, it’s possible. A nice resume will accommodate maximum details in minimum pages. But creating a consolidated, well organised beautiful resume might take a lot of your precious time. When there are software packages to help you to generate the real ones, then why should you worry? Simply log in to an online resume generator, enters your details and press enter. The door to your next job is ready! The installation of Resume generators is basically a contradiction. Yes, most of them work online and you need not have to install them locally. Even without installing, they can be used easily. You can save and edit your resume online and can share it through social media if required. Feeling inspired? 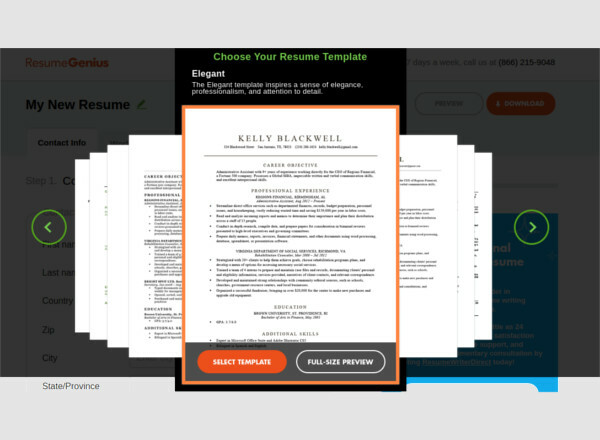 Yes, there are a lot of very attractive yet professional resume templates in these resume generator software free downloads. The end product of such software packages will be pretty awesome. If you are using an online generator, you might need to register on the parent website. At the time of registration, the generator will fetch your basic details. Rest of the details will be asked one by one and you can fill the fields one by one. Uses of resume are limited. Is it? Do you think that a resume is limited to graduates? Never! A resume is the face of your qualifications that represents you in the screening process. Whether you are a graduate who seeks a job or a student who search for an internship, you will need a proof to represent you. And that’s the resume! 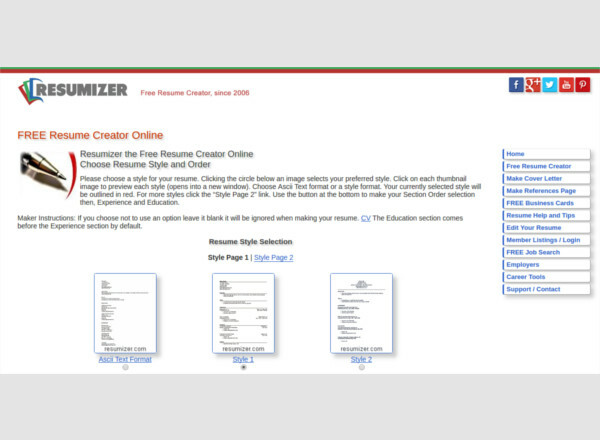 If you are a job seeking graduate, you should be the serious user of the professional resume generators. Include all the details accurately in the generators and see the end result. It will be mind blowing. These resumes can catch the eye of the recruiter at once. Being impressive is always good.